How did I make this you ask? 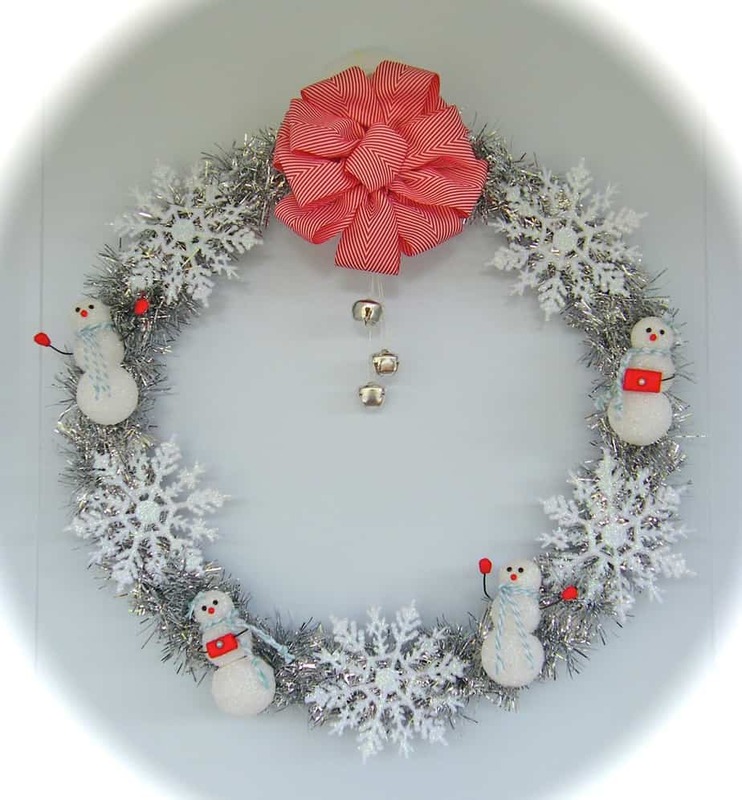 Wrap a wire ring in sparkly garland. 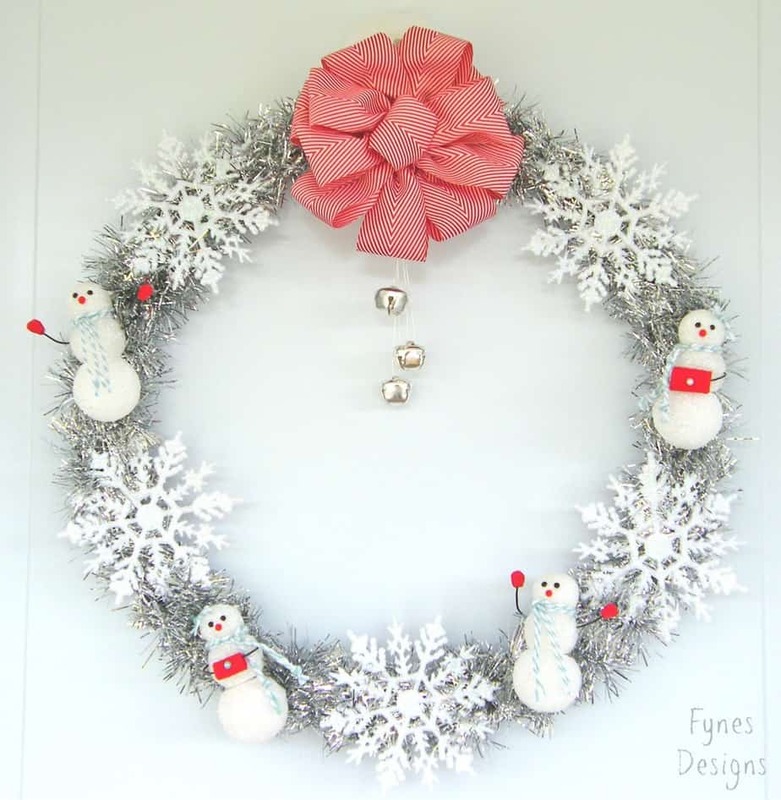 Attach Dollar store snowflakes using craft wire. 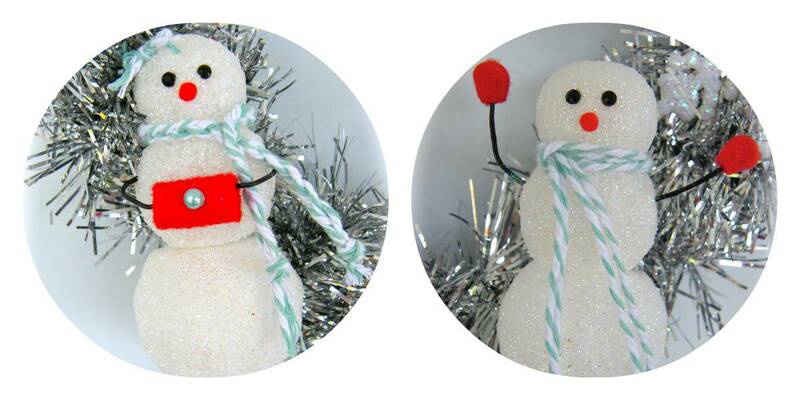 Attach snowmen by separating balls apart a tiny bit. 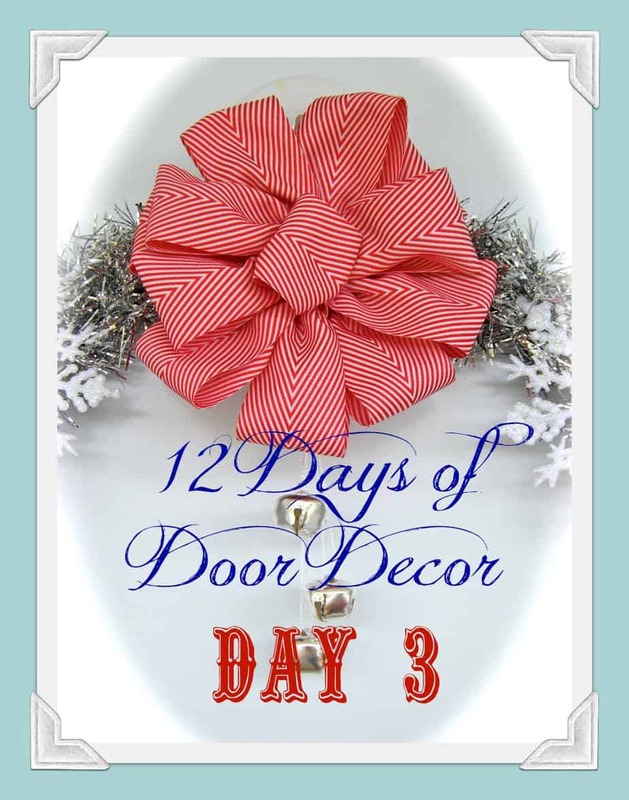 Wrap a length of wire around the skewer, squish balls back together and attach to the wreath frame. String bells onto sparkly string and attach to frame. Thanks for joining me for Day #3! Be sure to follow along to not miss Day 4-12. See you tomorrow for “Balls” of JOY! Miss the 2 French Hens and the Partridge in a Pear Tree? your door designs are awesome!! !